As many of you would know, the Mundaring/Chidlow fires of 2014 were caused by an improperly maintained private power pole with the resulting fire killing one, and destroying 52 homes. Private power pole, or poles that are on your property that are directly within your property must be inspected every 3-5 years to ensure that they are safe, and are not in danger for falling. Below are a few points that will be helpful in maintaining a safe and fire resistant rural power supply. 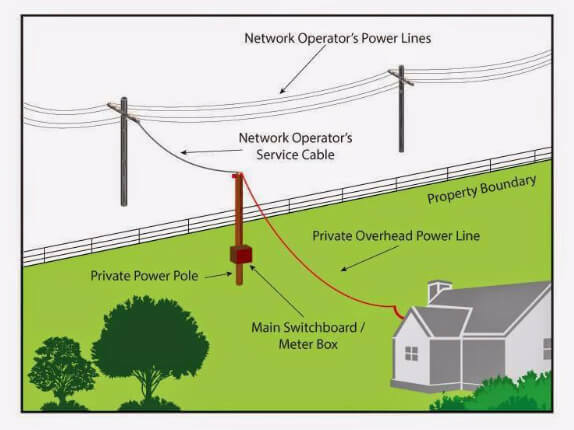 If you have a rural power supply, or have your own power poles that feeds your home and/or sheds, have them inspected by an appropriate contractor and/or Western Power. This applies for all types of poles. (Steel, Wood, Concrete). Having pole inspected may seem unnecessary, but termites and water corrosion can happen quite fast and the inspections will give you an idea when or if your system may need replacing, thus saving you money and a lawsuit in the event of a catastrophe and averting the danger of fire. For all pole types, keep wood, and fuels (leaves, bark, wood, weeds) with a 15m meter radius of all poles. If there is a short on the line, or the line drops to the ground, the leaves and twigs can as a very powerful fuel for an electrical or combustion fire. 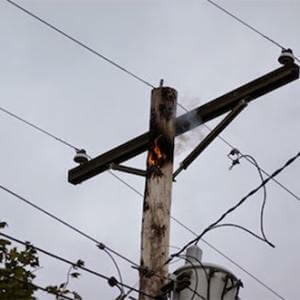 When having a pole inspected, have the tops of the poles cleaned, as dirt, leaves and natural debris can cause overheating and fire, this is a major source of ignition as dry leaves and or dirt can cause overheating and catch fire if left unattended and when there is a high load on the power line, summer for example. Combined with degrading insulators and a structurally weak pole, this is what is termed “Pole Top Fires” and has caused many disasters in Australia. With many things electric, it is not safe to do the work yourself. especially with power poles, which require approval and a whole bunch of paperwork and training from Western Power and the Office of Energy. Contact a licensed electrician or Western Power if you require an inspection or more details on what is involved in private pole work and inspections.